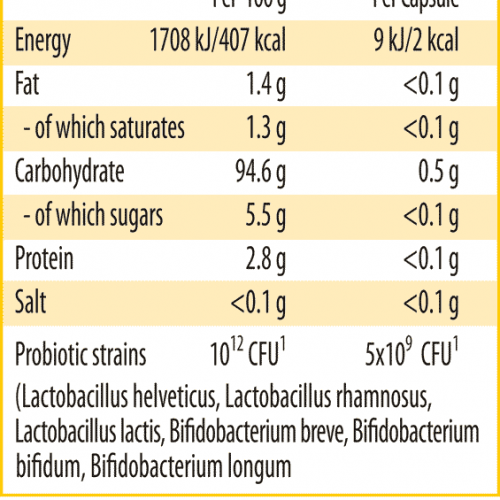 Unlike regular yoghurt bacteria, probiotic lactobacilli and bifido bacteria are more resistant to gastric acid and can therefore reach the intestine after oral intake where they can colonize and inhibit undesired bacteria. With a surface area of approximately 400m², the intestine is considered the largest immune organ in the body. 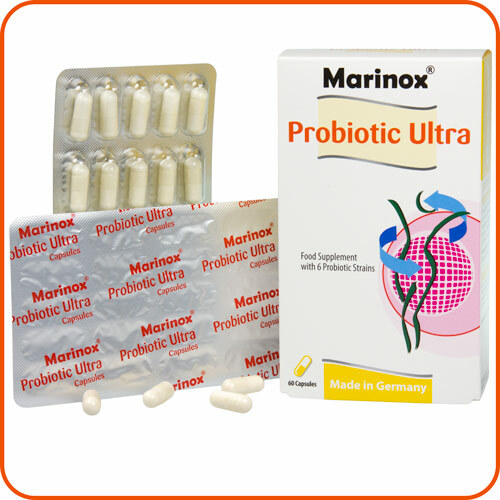 This is why it might be sensible to strengthen the intestinal flora with probiotics. 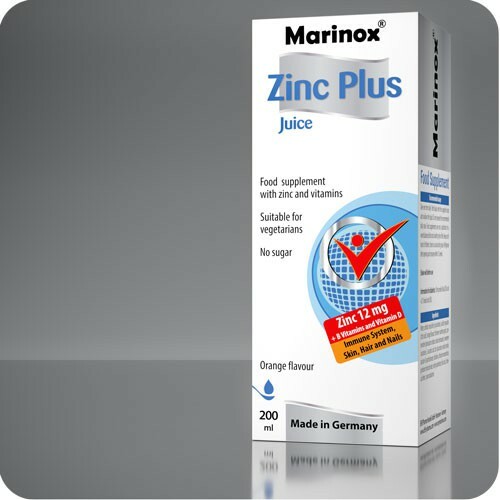 Through a regular intake, positive effects can be expected. 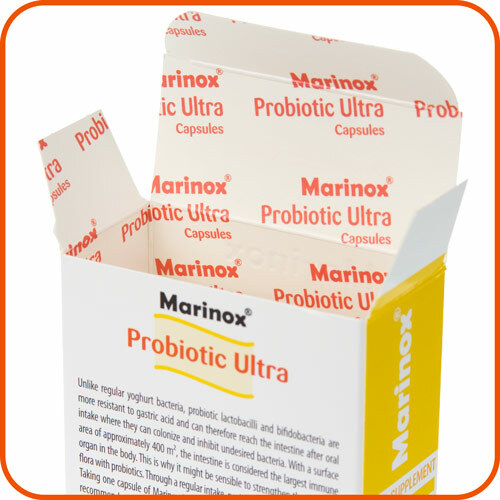 Taking one capsule of Marinox® Probiotic Ultra supplement daily provides the recommended daily dose of probiotic bacteria (according to The German Society for Mucosal Immunology and Microbiome e.V.). Potato starch, capsule shell (hydroyxpropylmethylcellulose), blend of probiotic strains (on milkpowder) 14%, anti-caking-agent (magnesium stearate), antioxidant (L-ascorbic acid). Contains milkpowder and traces of soy products. 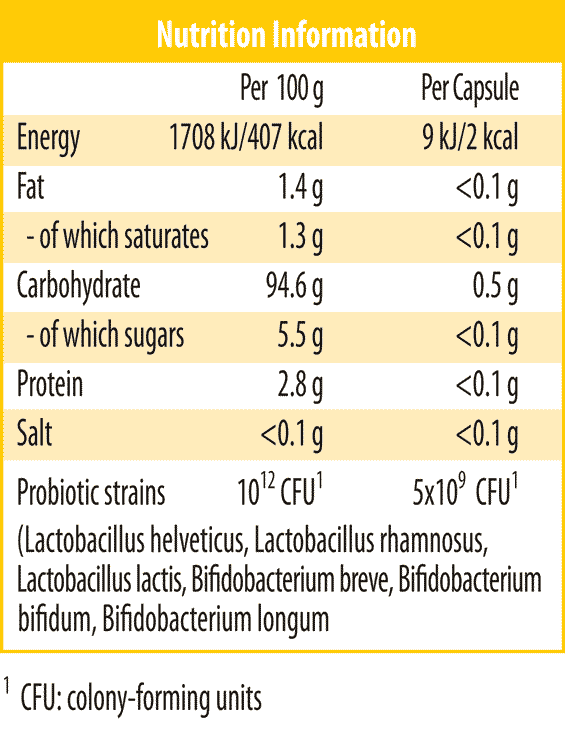 1 capsule provides 9kJ/2kcal and <0.1 bread units(BU). Contains milk powder and traces of soy products.